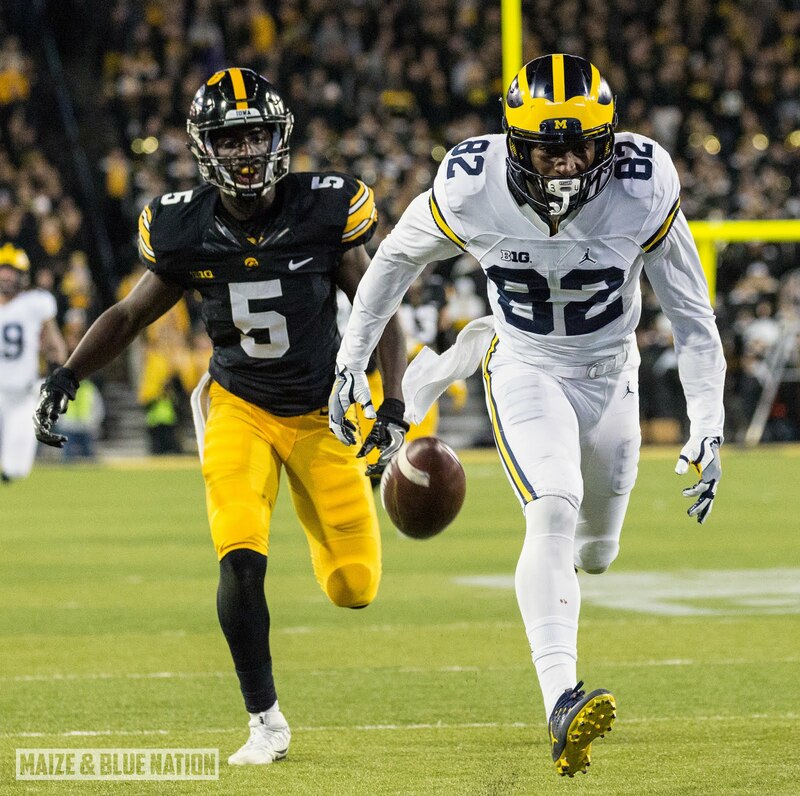 Note: This Iowa wrap-up was pushed back a little due to the Speight news and a number of other factors. No game balls due this being a loss. Game balls are not something losing teams give out. A cliché headline for an appropriately cliché loss. Losing by a point on a last-second field goal is a brutal yet common way to get your heart ripped out. It's easy to scrutinize everything after a loss like that. It's easy to point the blame at any one thing and say that's what Michigan needed to do better. In a game like this...if almost anything had gone Michigan's way we'd be singing a different tune. You can go crazy doing that. I don't want to go crazy yet. Not over this one. Are there areas for improvement? Well, the running game has been slowly evolving the whole season. In games where Michigan had struggled to move the ball on the ground...UCF, Wisconsin...the passing game has stepped up to pick up the slack. That didn't happen against Iowa. The defense looked about as good as could be expected given the circumstances, great even. I won't go into great detail about what I didn't like. The main thing I didn't like was seeing so much of them. Iowa ran 68 plays to Michigan's 61. Average yards per play was 3.38 yards for the Hawkeyes which is actually the 3rd lowest YPP Michigan had given up all year. On the flipside, Michigan's offense averaged 3.30 yards per play...which is by far their worst outing of the season. Michigan only gained 14 first downs, also the worst of the season. Sometimes, momentum can swing in a game and ordinary teams can become extraordinary (see; 2005 Michigan vs Penn State). Home teams at night can have superpowers sometimes. Michigan has played through a few momentum swings this year. They've been able to rely on a vast talent gap in order to win close football games against Colorado and Wisconsin. Winning a football game isn't that hard, but winning all of them is. A college football season is a grind, and a mid-November night game at Kinnick Stadium is a prime time and place for a let down. And that's just what that game was. The good news for Michigan is that it really didn't change anything. The only things that are different now are Michigan can't go undefeated, and Indiana is a must-win game. That's it. The Big Ten championship and the college football playoff are just as within reach as they were on Saturday afternoon. But in order to get there, Michigan has to do it with a new quarterback as it has been reported that Wilton Speight will miss the rest of the season with a broken collarbone. That means it's John O'Korn's time to take the starting spot. What little we've seen from him this season has been good...but it's all been in garbage time. It's clear now that Michigan will need to address some things in order to not only get past Indiana, but have a shot in Columbus as well. Who knows, maybe this loss will help uncover some of the things Michigan needs to improve on? And maybe John O'Korn will be just the spark this offense needed? We'll find out either way. Two wins and Michigan is playing for a Big Ten Championship. A loss this week and that's likely the ball game. A loss to Ohio State will likely keep Michigan out of Indy as well, but that was going to be case whether Michigan bean Iowa or not. Can Michigan Keep Moving Forward?